Florham Campus graduate student Victoria Woolfolk, BS’17 (Metro), offered Girl Scout cookies and FDU scarves to her Japanese hosts. The tradition of gift giving is very important in Japanese culture, she says, which she learned before embarking on the international trip, sponsored by the Congressional Black Caucus Foundation. The annual trip aims to provide African-American students with the opportunity to travel to and learn in Japan and interact with Japanese government officials and businesses. Woolfolk learned about it from a family friend and attorney, Patricia Atkins, and her mother Phyllis Woolfolk, BSN’81 (Ruth), chartering member of the Nu Kappa Chapter of Alpha Kappa Alpha Sorority, Inc. at FDU. With the support of New Jersey Congresswoman Bonnie Watson Coleman; her husband, Rev. William Coleman; and her parents, Phillip and Phyllis Woolfolk, Victoria was selected to go. 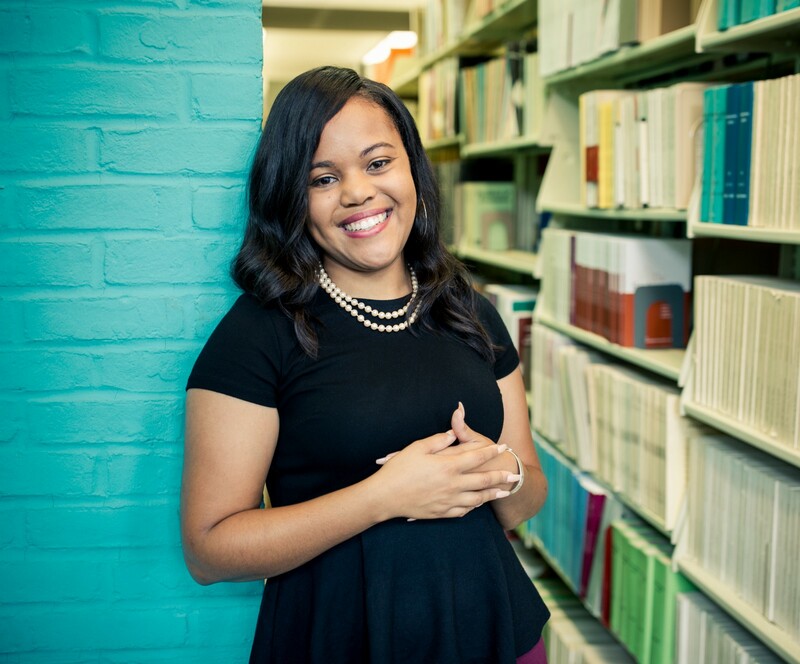 “There were a lot of things to be aware of, such as the degree to which you bow to someone and how it indicates the level of respect you have for them, and of course, the proper way to present a business card,” says Woolfolk, who’s working on her MBA in international business and marketing. At Toyota headquarters, “It was refreshing to see that it’s a really innovative company,” Woolfolk says, “trying to develop electric cars and minimize the footprint we have on the Earth.” The company is socially aware in other ways as well. After the 2011 earthquake and tsunami, she says, Toyota suspended production and devoted resources to rebuilding Japan and to making sure people had food, medicine, water and shelter. Ed. note: A version of this article first appeared in the Winter/Spring 2019 edition of FDU Magazine.